Jean Strauss has chosen several paths in her life, from athlete to author, from legislative activist to documentary filmmaker. With her first feature documentary she combined her passions of activism and storytelling into a film that touched the hearts of a lot of people - and affected adoption reform. 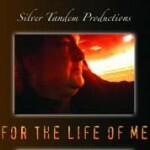 Visit the film's website: ADOPTED: for the life of me! The PBS version and the award-winning feature film about the impact of secrets in closed adoptions in America are both available in the store! HELP SUPPORT Jean’s next films! OPPORTUNITY! You can help support two new feature films. "JOAN LIND: America's Sculler", tells the story of the first U.S. woman to ever medal in rowing in the Olympic Games. As the birth of women's international rowing takes place against the backdrop of the Cold War, Joan Lind, a flag girl from Long Beach, doesn't win a gold but sets the gold standard for women's rowing in America, a legacy that continues to this day. And in 2017, when the state of New Jersey releases birth records to its adopted citizens for the first time, it will mark the culmination of the forty year journey of Pam Hasegawa to change an entrenched system of secrecy. "Once Upon a Time in New Jersey" is for anyone who feels that a single citizen has no voice within our political system. For anyone wishing to help out, know that your assistance is what makes these films possible! It's easy. Just click on the PayPal "Donate" button and make a donation. If you want to make your donation a recurring one, click on the box - if you leave the box unchecked, it will be just a one time donation. Either makes a huge difference! 100% of your support is used for making these films, providing funds for equipment and rights fees and outreach. You'll be listed on the website as one of our sponsors - but more importantly, you'll be supporting the production and broadcast of films to help educate communities about why adoption reform is so critical. How do you become a documentary filmmaker? Okay. Maybe it's not quite that simple. But it does begin with just these two elements. After that, its years of figuring out what all the other buttons are for - and what's a powerful way to tell the story that's bursting to get out so that your audience will stay in their seats. There's so much competition for people's attention these days because there are so many more outlets for those of us who are outside the mainstream media of major networks. The Shift from DSLR back to camcorder?? I waited two years, figuring some of the bugs I was hearing about would get sorted out. Wouldn't you know, I finally bought a Canon 7D only to have the new generation of HD DSLR's announced just three months later. Ah well. Still, many of the issues that exist for shooting 'film' with what is basically a professional still camera continue to exist. Its interesting that one of the biggest complaints people have is sound - and I find that working with the 7D has forced me to have better sound than ever. Its one of the silver linings of making this shift. I thought I would just get the camera and play with it, and bit by bit make the shift, but after the first day of shooting with it at Antietam battlefield, I decided to commit wholly to using the camera and becoming proficient at it. It's been three months, and I'm still 'not there' with proficiency, but feel its the only way to really make the change. Dive in and you'll ultimately learn how to swim. Of course, maybe I shouldn't be using it for a new feature film while I'm learning, because mistakes are going to get made (and have been made) but so be it. The footage that IS good is much much better. There's more to think about, more to learn, but that's half the fun. I never quite got 'ISO, f-stop, shutter speed' before - now there's no choice but to understand it. Every day I learn something new - one day, hopefully enough of the work with the DSLR will feel like second nature, and I won't even have to think. I'll just know. Learning to use the 7D makes me all the more appreciative of the skill and talent that great photographers (and filmmakers) bring to their work. I wish I hadn't waited so long to dive in - but at the very least, it means there's a lot of problem solving that's been done which I am the beneficiary of. Onward! Our festival success wouldn't have been possible without them! Filming the enactment of Missouri’s Adoptee Rights Act on January 2nd was monumental. The ‘Show Me State’ was one of the last places I ever thought would pass access legislation. It was incredible to watch people I filmed a decade ago finally able to have that simple piece of paper (at the ages of 85 and 75!). 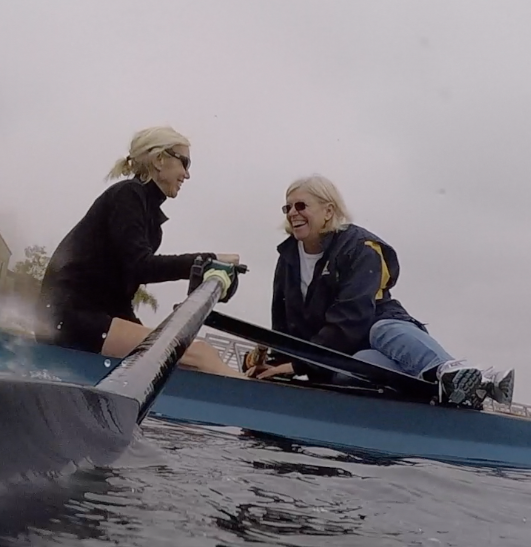 Second, I have at long last completed the film on the most significant US women’s single sculler in history. This has been one of the most meaningful projects in my life – and as I wait to see if KISS THE JOY: the story of Joan Lind Van Blom is chosen by festivals, I can’t wait to share her story with the world. FINALLY. After an over three and a half decade battle, citizens adopted in New Jersey now have the right to receive their own original birth certificates. I stand in awe of the long-standing effort. The tenacity and resolve of Pam Hasegawa and many many other people in NJ-CARE is a testament to the power of citizens (and legislators) to right a wrong. My first film, “The Triumvirate”, was going to be the only documentary I ever made on adoption. Then Pam asked me if I would come to New Jersey and make her group, NJ-CARE, a short public service announcement (PSA). That request changed my life forever and led to my documentary advocacy work creating films, from shorts to features, to help legislators and citizens understand what adopted citizens and first parents and adoptive parents go through when secrecy is imposed upon their lives forever. In honor of the historic enactment of the New Jersey law, I have decided to put all my adoption films online for free – in perpetuity. This will include not only what’s been done, but also what’s next. There are many films I haven’t yet had a chance to cut (Rhode Island, Missouri, to name just a couple) and there is a feature in the works on New Jersey. “Citizen Adoptee” will take a while (I have the film on Joan Lind Van Blom to finish, and since my filming in NJ goes back to 2005, well, its going to take a little bit). But when it is completed, it will be available for all. Fifty films are already available for your viewing at the ADOPTEE FILM CHANNEL. A dedicated website is also in the works. Congratulations NJ-CARE! Bon apetit ALL! Sometimes, there is so much to say, I end up saying nothing. I have spent the three months since Joan died in silence, trying to organize footage and images and interviews from the days we spent working on her film – and yet in truth I have spent a great deal of time staring off into space. It is daunting to tell the story of someone who was so special to so many people. Joan was a unique individual who touched many lives, as a racer and teammate, as a teacher and administrator, as a friend, as a wife and mother. Some days its feels impossible to capture her spirit, her wit and elegance, to do justice to her trust to tell her story. I find myself waiting for her nod of approval. But I know its time. I keep thinking of how she described her race in Montreal, the words that kept running through her head. “This is it, this is it, go for it.” I feel that way about cutting her film. I wish for many things this holiday season. Peace on earth. A 32 TB Pegasus2 R8 Thunderbolt 2RAID hard drive. And another year with Joan Lind Van Blom. She made this planet a better place – and made 2015 a sacred and special time. I am making a film that has nothing to do with adoption for the first time in almost ten years. The subject is one of the women I’ve admired most in my life. Joan Lind Van Blom is an extraordinary athlete, the very first woman ever to earn an Olympic medal for the United States in rowing. She did this in a spectacular race in the 1976 Games, the first Olympics to include women’s rowing. Her silver medal was nearly a gold – and this against East Germans and Russians, in the worst lane on the Montreal course, in a cross wind, up against the rocks. For the last four decades, she has been an amazing ambassador for the sport, for both men and women. Setting the bar for all who would follow, Joan’s story underscores how far women can excel when given a chance to compete. As I begin this endeavor, I am reminded of the privilege that filmmaking affords. I am getting to tell the story of an idol of my youth, to immerse myself in a sport that long ago defined me – at least to myself. My camera lens is trained upon a magic athlete, who continues to inspire all in the rowing community to this day. What joy! Governor Pat Quinn lost his re-election bid in Illinois yesterday. He had come into office by replacing Rod Blagojevich, and then winning one term on his own. And somewhere in there, he signed HB 5428 – the bill that would provide Illinois adoptees with access to their original birth certificates. Governor Quinn did this for a number of reasons. Representative Sara Feigenholtz, an eight term representative, had made it clear that this bill was the most important piece of legislation she would ever champion – and she needed him to sign it. Other key legislators played a role, most notably Senate President John Cullerton, and Speaker of the House, Mike Madigan. So politics may have played a role – but I’d like to think Governor Quinn signed the bill into law because he knew it was the right thing to do. 2014 is the year of fourteen. 14. That’s how many states to date provide access to original birth records for adopted citizens. It’s wonderful – yet also sobering. Its taken so much effort to get to this place – and there’s still so far to go. I stand in awe of those who have navigated the sluggish and tricky waters of reform. Sad to think that states sealed adoptees’ birth certificates with such ease, often with little or no record of who was involved or why. Bills passed in silence. No one fought on behalf of the children being adopted, there was no impassioned testimony about what this might do to them, just a quiet closing of doors, a creation of vaults, and generations of stone-faced clerks taught to say ‘you have no right to this information’, a monotone inhumane response stretching out forever. What past legislatures did in an instant has taken decades to undo. New Jersey sealed records in 1940. When those children of the sealed era grew up and asked for the piece of paper that the state held on the first chapter of their lives, it took 34 years to finally reverse. Young people who began the effort are now white-haired. And even with victory, there was a need to compromise. What made the ink on the New Jersey bill palatable was the knowledge that going there would be no more sealed records going forward. Not every state has been as complicated a battleground as New Jersey – but all of them have required tenacity, courage, and enormous amounts of personal time. On the surface, it sounds so easy. If a law is unjust, change it. If it were just that simple. 2014 has felt like a tipping point. Washington, Ohio, Colorado, New Jersey – all enacted or passed laws this year. Connecticut has inertia. Illinois passed an additional statute. And Pennsylvania has looked hopeful all year long. But like so many other battleground states, as votes draw close, old and antiquated fears and foes appear. This may not be Pennsylvania’s year – but one day it will be. For if the history of the adoption reform movement suggests anything, its that perseverance works. The stamina required is daunting. The cost, in terms of human time, personal expense, coping with attacks from within and without, the discouragement – its impossible to quantify. Applaud the people in the trenches doing the work. Their efforts are for more than a simple piece of paper. They dignify us all. 2014. It could be a tipping point. It’s definitely a year to celebrate! When I was younger, I felt somewhat cynical. I didn’t believe people could change. But then bit by bit, things began to shift here in America. Drunks who got behind the wheel of a car were no longer funny (watch any movie from the 50’s and 60’s when drunk driving was a comedy staple). Public smoking was no longer tolerated. Homosexuals came out of the closet, and began to be treated like human beings (at least in some places). An African American was elected president. These shifts all represent the capacity not only for individuals but for our large and often unwieldy culture to change, to evolve. But if you had told me a quarter century ago that apartheid would end, I would never have believed it. Ever. And yet it did – and one man was largely responsible. Nelson Mandela stands to me as a symbol of hope, of change. Mandela was filled with hatred for the first eleven years of his imprisonment. And then, he somehow found the capacity inside himself to let go of his hatred, and to try to love all people, to not let anger dominate him. His smile won people. Smile at your enemies. It will disarm them. You know – he was a boxer. He looked like Muhammad Ali. When he was younger, he was heavier. He did some things that really were… violent. He was not like MLK or Ghandi. But he was magnifying, articulate, charismatic – and hopeful. When Jon and I were in South Africa three years ago, we went to Robben Island, where Mandela was imprisoned for 18 of his 27 years. I stood in his cell, and tried to imagine the transformation he allowed to happen inside of him. He might have been in a cell, outwardly under the control of others, but he was free in his mind and heart. It meant a great deal to me to see this place, to stand for a few moments alone in that small room. I had seen it once before, and vowed if I ever got a chance to go there, I would. When the Millenium celebration was happening in 2000, I had the flu. I lay on the couch and watched as the clock hit midnight in Fiji (the first country to enter the 21st century), and every hour, television crews showed the celebration in each country. There were huge, spectacular demonstrations, full of magnificent displays of fireworks, millions of people partying, everywhere. Except one country: South Africa. There, on Robben Island, a camera crew followed twenty-seven barefoot men, drummers, as they walked in a line into the prison hallway where Nelson Mandela had been kept. And they began to drum on the floor. Then they pressed their feet against the sides of the walls, inching their way up, above the ground, all the while drumming the sides of the hallway as they climbed, until they were drumming on the ceiling, their legs forming an archway below them. And underneath that human arch walked Nelson Mandela, holding the hand of a small boy. They walked into the cell where he’d been imprisoned, and together lit a single candle. I wept. I still do, thinking of it. It was the most hopeful thing I have ever witnessed. Every other country had celebrated with a party. South Africa reminded us of how far we can come, and how far we have to go. They chose to embrace hope. My oldest son was married last Saturday. To an amazing young woman. It was an magic day – full of remember-forever moments for our whole family. It was a day of joy for Tiff. A day of strength and brotherhood for Jonathon. A day of passage for Jon and I. A day to join with a new family, and to welcome a daughter-in-law to hold hands with us. It couldn’t have been more extraordinary. Perhaps for those of us who are adopted, or who spend far too much time thinking about the issues adopted adults can deal with, there is something about it all, the growing up of one’s kids, the expanding of a family, the wonderfulness of the joining, that fulfills certain longings, fulfills a sense of belonging. I have heard others speak of the sense of loss when their children wed. I felt only gain – and an odd and wonderful sense that I don’t have to worry so much, something that I’ve spent far too many hours doing. Anyway. It was cool! I will post pictures somewhere for friends who’ve known Tiff for forever, and share with them the video of the wedding, and the video of Jonathon’s amazing toast as well, if he’ll let me. Wedding days are certainly lifetime moments for the bride and groom – but they can evoke lifetime moments for others as well. This one did for me. For all the ‘scares’ that July had wrought, August erased them a thousand fold, and gave us all a day in the sun. Literally. Okay. For all who are waiting, I am back to cutting the film. And feeling very very happy!